Features broad applicability, versatility, and proven performance of Visionscape software. 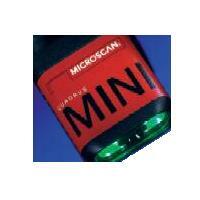 Miniature autofocus imager with X-Mode featuring high-performance decoding. Multiple configurations are available. World's first imager with fully integrated liquid lens technology, enabling infinite focus flexibility. Flexible and Powerful Series of Direct Part Mark Barcode Readers with Optional Built-In Verification. Easy scanning solution for 1D and 2D symbols. Instant scanning at the push of a button, no computer required. Versatile industrial 2D reader. 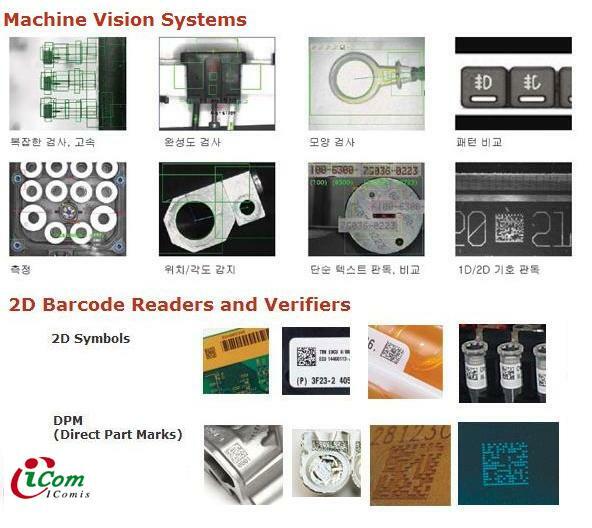 Excellent for reading laser-etch and dot peen symbols in factory environment. The Quadrus MINI is the world’s smallest high resolution imager and the first to offer true auto focus for ultimate flexibility in factory automation and electronics product identification. 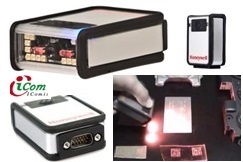 MS-4 Imager is the smallest high performance imager. Its compact size.Omni-Directional Reading.Up to 10 decodes/second. HS-41X 는 판독 힘든 저명암 코드 모든 바코드나 2D 기호 판독 . 복호/초: 최고 10,판독 범위: 2" (51mm) 접촉, USB전원,인체공학적 디자인 . Matrix 300N™ is a ultra-compact image based bar code reader designed for performance on high speed and Direct Part Marking (DPM) applications.The Matrix 300N™ is power by the new software DL.CODE, offering maximum customer ease of use. The Matrix 300™ combines a high resolution sensor with ultra-fast image acquisition: 1.3 megapixels, 60 frames per second. 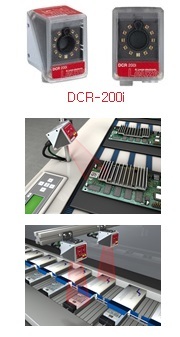 The Matrix 400/410™ is the modular, flexible and versatile compact bar code 2D reader for industrial applications embedding 1.3 and 2.0 megapixel sensors. Matrix 400/410™ features excellent performances in reading and verifying, easy setup, thanks to the X-PRESS™ interface and patented Blue Diamonds™ system, ease of use, extreme flexibility, high versatility and industrial strength. Matrix 410N™ is an industrial 2D imager for traceability applications in material handling and logistic environments.Matrix 410N™ is equipped with a ultra-fast image sensor, scanning at 2.0 MPixels, with a frame rate of 45 fps. Matrix 450N high-end industrial 2D imager is designed for logistic applications. Matrix 450N imager embeds the standard Matrix Series configuration software DL.Code (version 1.4.0). The DL.Code software tremendously improves the ease of setup and is intuitive for the user. 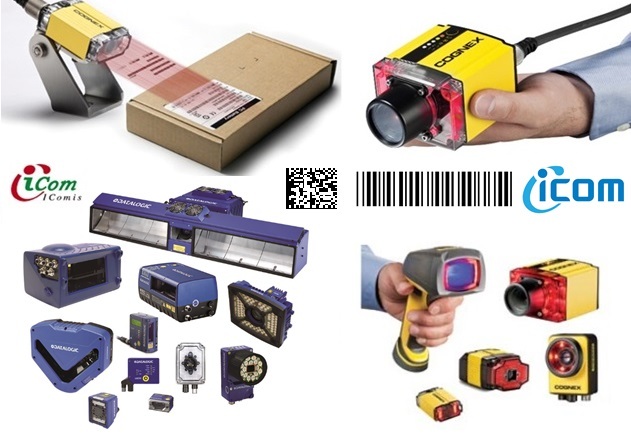 Highly visible 4-Dot aimer with center-cross for targeted scanning Omnidirectional reading Advanced motion tolerance optics Image capture and document scanning capabilities Reads bar codes down to 4mils Reads 1D, 2D and postal codes plus stacked and composite codes Interface options: RS-232 or USB Datalogic’s patented Green Spot for good-read feedback Integrated good-read beeper Automatic sensing or manual trigger options available High-impact resin creates a solvent-tolerant enclosure Water and Particulate Sealing Rating: IP54. Matrix-2000 reads up to 100 codes in a single frame. 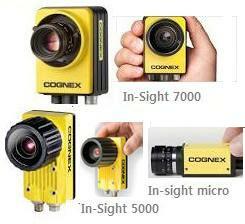 Cognex In-Sight® 비전시스템은 부품 검사, 식별 및 가이드 작업에서 최상의 성능을 제공. 모든 기능이 완비된 이 산업용 등급의 비전 시스템은 첨단 비전 툴 라이브러리와 고속 이미지 수집 및 프로세싱을 모두 겸비. 라인 스캔, 최고해상도 컬러 시스템, 쉬운 방식으로 In-Sight 비전시스템을 구성하고 설치할 수 있음. 콤팩트한 1D 및 2D 코드 판독기, 모듈형으로 또는 알루미늄 하우징 안에 장착하는 콤팩트한 코드 판독기, 통용되는 모든 1D 및 2D 코드를 위한 CMOS 영상장치 및 통합 디코더, RS 232 또는 USB 인터페이스, 트리거 입력, 스위칭 출력, IP 54 보호 등급. 로이체의 코드 판독기는 1D 및 2D 코드를 완벽하게 인식합니다. 유형에 따라 인쇄되거나 직접 표시된 코드, 모든 방향의 코드, 고정되었거나 빠르게 움직이는 코드, 역코드, 반사된 코드 모두 인식할 수 있습니다. 또한 레퍼런스 코드 비교의 이점도 누리십시오. 소형, 견고함, IP 67/69K, 매우 빠름 또는 High End 기능 등 어떤 경우라도 Leuze에서 최적의 솔루션을 찾을 수 있습니다. DCR 200i는 카메라 기반의 소형 1D 및 2D 코드 판독기입니다. 간단하고 직관적인 조작 또는 매개변수 설정이 가능하여 매우 손쉽게 다양한 어플리케이션에 설치할 수 있습니다. 환경 설정은 간단한 설치 마법사 및 메뉴 선택 기능이 있는 웹 소프트웨어 툴을 이용하거나 장치에서 직접 할 수 있습니다. 또한, 스마트폰 앱에서도 매개변수 설정 코드를 이용하여 설정할 수 있습니다. 더 넓은 감지 범위나 매우 작은 코드를 지원하는 옵틱 모델을 이용할 수 있습니다. 필드버스 통합을 위해 PROFINET 또는 이더넷 TCP/IP와 같은 기본형 인터페이스가 제공됩니다. 스테인리스 스틸 하우징과 IP69K/IP67을 갖춘 버전은 내세제성에 관한 최대 요구사항을 제공. 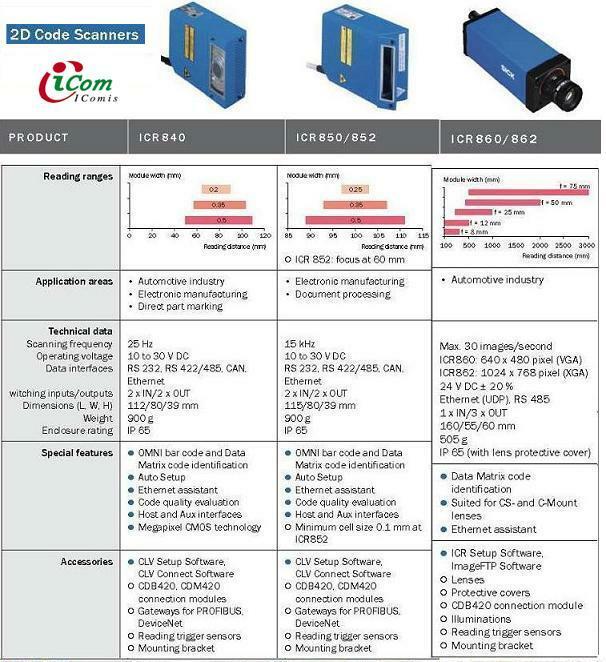 Microscan Scanner: Microscan Scanners lead the industry in fixed-mount scanners and decoders for industrial and assembly line applications.